Nothing less than our very best. Congratulations to Mrs. Kathy Gunn and all the hard working ladies in the McEwen School Cafeteria for their perfect score on their latest Food Service Inspection. These ladies work hard to prepare a nutritious lunch for students and faculty every day. Thank you for all you do. Welcome to the McEwen Elementary School website. We hope this website will be beneficial to the parents, students, and staff of MES. If you are new to the school you will discover information that will be helpful. Features to the site include an up to date calendar, lunch menus, links to helpful websites for students, and a staff directory. From our parents page you will be able to print forms and documents that sometimes get lost in the hustle of everyday life. We will try to have copies of the weekly homework sheets available in the parent section. Welcome to our site. Please look around and make yourself comfortable with the features. More features, news, and pictures will be added as the school year progresses. The Humphreys County School System will not be utilizing the Ident-A-Kid Parent alert system this year. 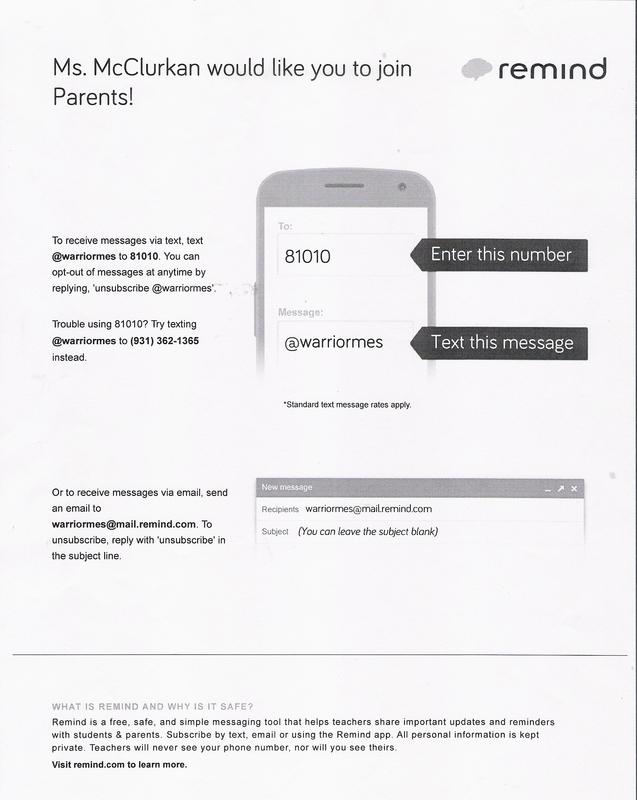 Thus, MES has created a "Remind" account to send out similar messages to MES parents. To receive these messages, click on the flyer above and follow the instructions. Below you will find a link for supply lists for the 2017-2018 School Year.